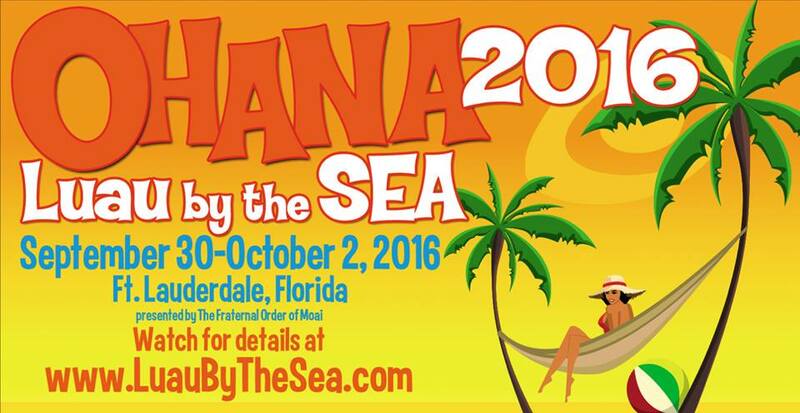 Fraternal Order of Moai - Ohana Luau by the Sea returns for an encore! Ohana Luau by the Sea returns for an encore! Ohana: Luau by the Sea will return for a 2016 encore in Sunny Florida from September 30th to October 2nd. All the fun you expect from Ohana.... plus the Mai-Kai Restaurant!! Join us in Fort Lauderdale for more Fun With A Purpose as we raise funds for scholarships. More info at www.LuauByTheSea.com.